Following the major acquisitions of former lightweight world champion Eddie “The Undeground King” Alvarez and long-time flyweight world champion Demetrious “Mighty Mouse” Johnson and most recently, Japanese-Korean icon Yoshihiro “Sexyama” Akiyama, ONE Championship continues to secure top-tier talent, and the latest to sign with the Asian martial arts powerhouse is fast-rising American star “Super” Sage Northcutt. “Please join me in giving a big warm welcome to multiple-time karate world champion, Black Belt Hall of Famer, and rising global UFC mixed martial arts superstar Sage Northcutt to ONE Championship!” ONE Championship Chairman and CEO Chatri Sityodtong announced on his Facebook page, Saturday. Sityodong also revealed that Northcutt is set to make his promotional debut in February of 2019 in Singapore. The 22-year old native of Texas comes began his journey into martial arts early in life, and eventually became a highly-decorated karate practitioner as a kid, taking after his father Mark, who owns a black belt in Shuri-Ryu Karate. Northcutt made his professional mixed martial arts debut back in 2014, then just 18 years of age. Immediately, Northcutt found success, winning his first seven professional bouts all via stoppage. Currently 11-2 in his career, Northcutt has a high stoppage rate, with eight of his wins coming either via knockout or submission. “Super” Sage comes to ONE Championship riding a three-bout winning streak. 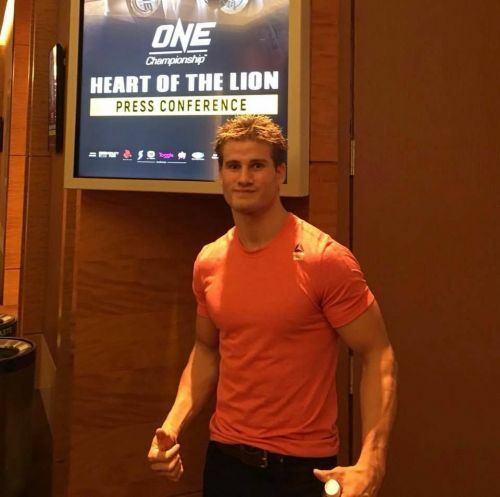 Northcutt’s signing with ONE Championship appeared to be inevitable since early November, when the young star was spotted during the pre-event press conference for ONE: HEART OF THE LION in Singapore back in early November. He revealed that he was in attendance to watch the card and talk to Sityodtong about possibly coming on board as an athlete. Weeks later, Northcutt officially became a free agent and wasted little time in finding a new home with ONE Championship. Immediately, Northcutt becomes another exciting addition to the promotion’s stacked lightweight and welterweight divisions.